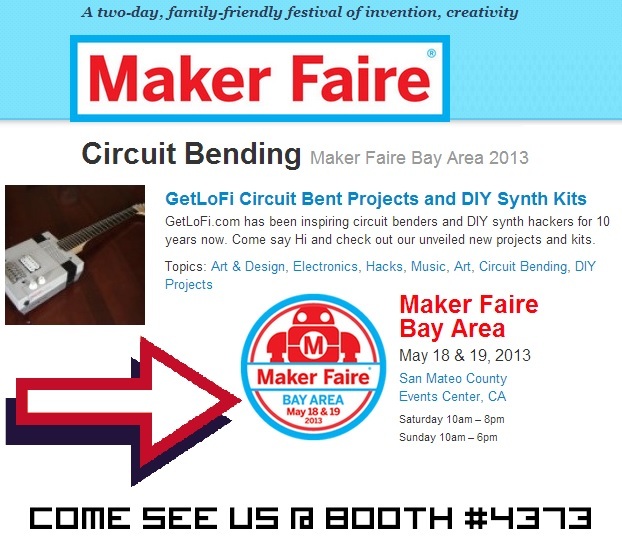 GetLoFi Will be @ Maker Faire 2013 in San Mateo – May 18th-19th. Yes, its true! Along with Creme Dementia ( Austin ). We will have new kits, old kits, contact microphones, and special rare goodies. Please come by and say hello.